Two of the most common causes of night waking in children are night terrors and nightmares. Parents often get them confused but they are different, as is how they should be managed. Before we can understand night terrors and nightmares, we need to understand normal sleep. All children and adults cycle through stages of deep sleep, also known as non-rapid eye movement (non-REM), and light sleep, also known as REM. We fall immediately into deep sleep where we typically stay for the first few hours of the night. Thereafter, we cycle through deep and light sleep. These sleep cycles last 30-60 minutes in children and around 90 minutes in adults. When we come into light sleep, we can wake up briefly, look around the room, adjust the bedclothes, and if everything is OK, go back to sleep again. Night terrors and nightmares happen in different parts of the sleep cycle and in different parts of the night. Night terrors usually happen before midnight and occur when the child is “stuck” between a deep and light sleep stage. Their body is therefore “awake” but their mind isn’t. In contrast, nightmares tend to occur after midnight and happen during the light sleep stage, when we do most of our dreaming. During a night terror, the child has a sudden onset of screaming, can have their eyes open or shut, can breathe rapidly and have a fast heartbeat. They look terrified and can get up and run around. However, because they are not truly awake, children have no memory of the event in the morning. If their parent tries to comfort them with a hug, the child will typically push the parent away. During nightmares, however, children will usually wake up completely from their bad dream and be scared. They welcome a hug and can remember what happened in the morning. 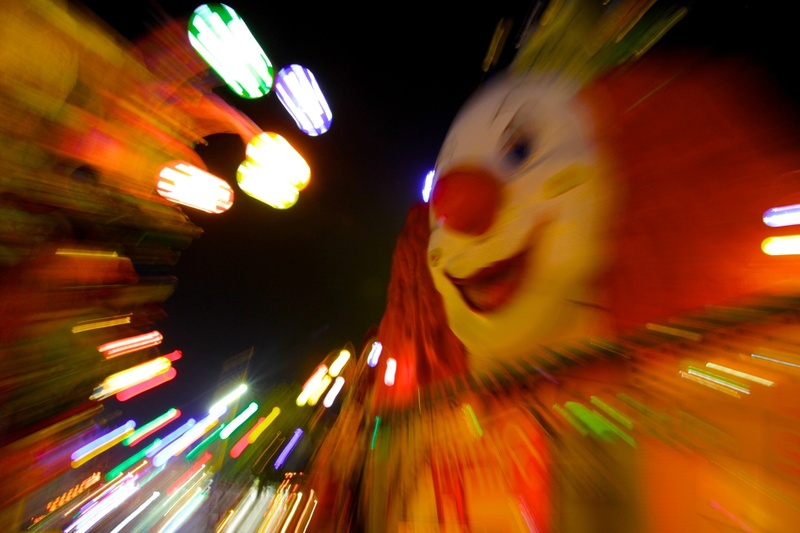 These differences give us an insight into how best to manage night terrors and nightmares. For night terrors, parents would do best to check their child is OK (hasn’t got their leg stuck in the cot, for example) and then leave them be if it is safe to do so. Many parents continue to try to comfort their child but this usually results in the child waking up completely and being very confused and hard to re-settle. Children who are having a nightmare need to be comforted by their parent and returned to bed once they have calmed down. For almost all children, night terrors and nightmares are a part of normal development and not a cause for concern. Both can run in families. For some children, who have frequent nightmares and show other signs of distress, such as changes in their appetite or recurrent body pains (think headaches and stomach pains), or who appear withdrawn or upset, nightmares can be a sign something else is going on. These children should be seen by a health professional, who can work with the child and the family to identify and address underlying issues, such as problems at school with learning or bullying or family problems including violence. Night terrors that persist and occur around the same time each night can be treated with a technique called “scheduled awakening”. This involves waking the child up around 30 minutes before their night terror. This is thought to reset the sleep cycle, thereby helping them avoid getting “stuck" between deep and light sleep stages. Parents need to persist with this technique for at least three weeks to know if it helps or not. Triggers common to both nightmares and night terrors include illnesses and lack of sleep. While illnesses are hard to avoid, parents can ensure their child has adequate sleep, starting with a good bedtime routine. There are many helpful resources on how to help children sleep including the Raising Children Network and the Sleep Health Foundation. Ensuring a good nights' sleep for children can benefit not only the child, but the rest of the family as well. Do women’s periods really sync when they spend time together? It is a popular belief that women who live together synchronise their menstrual cycles.